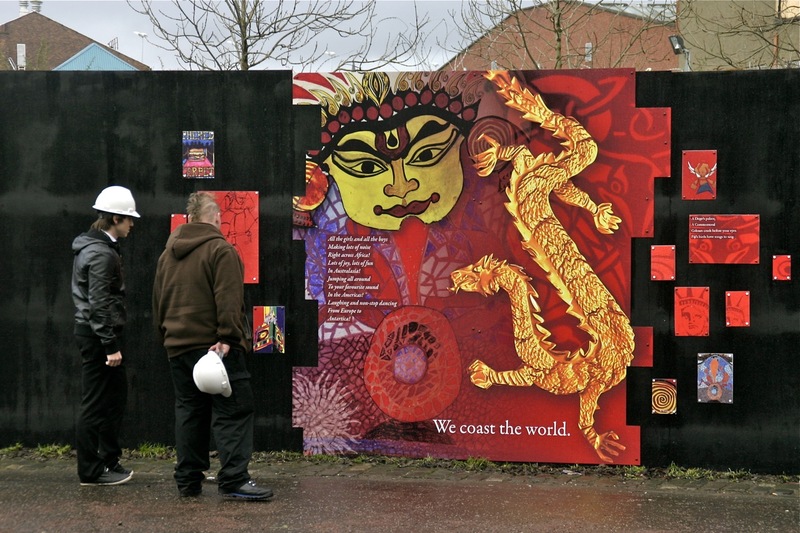 London Road Mural from 6274 Public Art on Vimeo. 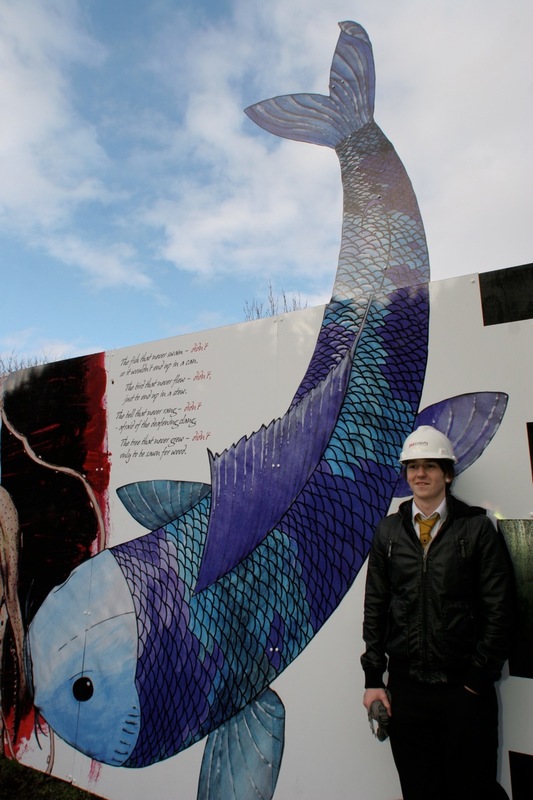 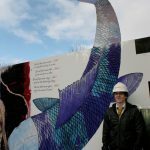 6274 worked along side Lead Artist Peter McCaughey and his team at WAVE, Glasgow regeneration company Clyde Gateway and their partners Dawn Construction to produce a 100 metre long artwork as part of the new Eastgate office building project. 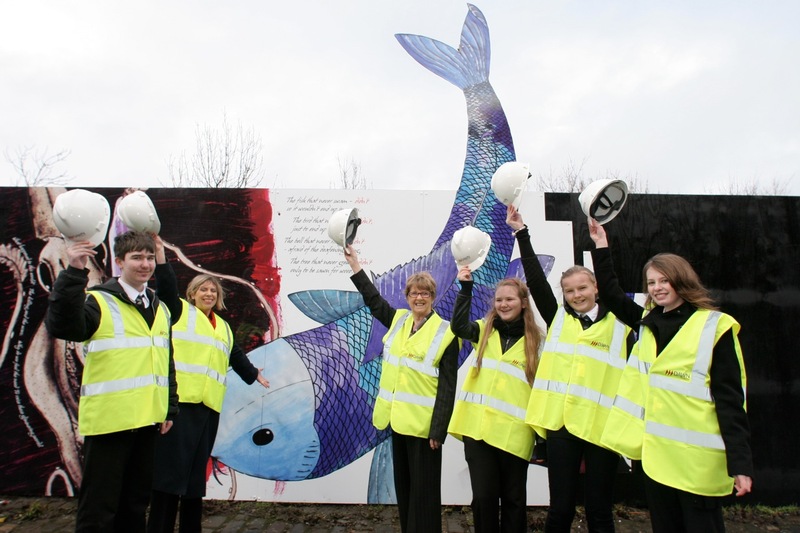 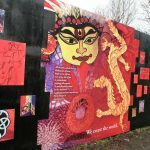 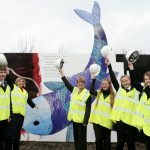 We engaged with pupils and teachers of Eastbank Academy in Shettleston as well as local artists and writers to produce a fantastic mural on the site which is one of the key locations leading up to the Commonwealth Games. 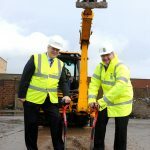 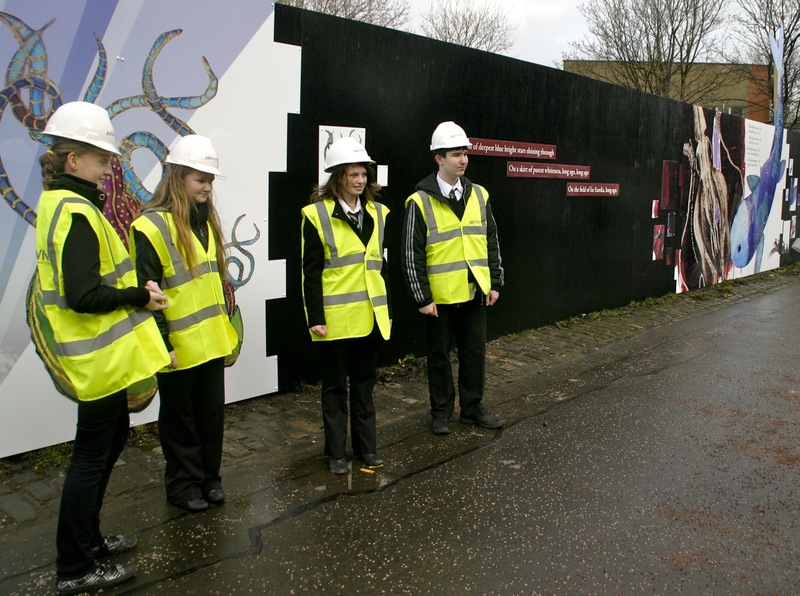 We worked with our allotted budget and time scales to complete the work before the official opening by the Lord Provost and national press. 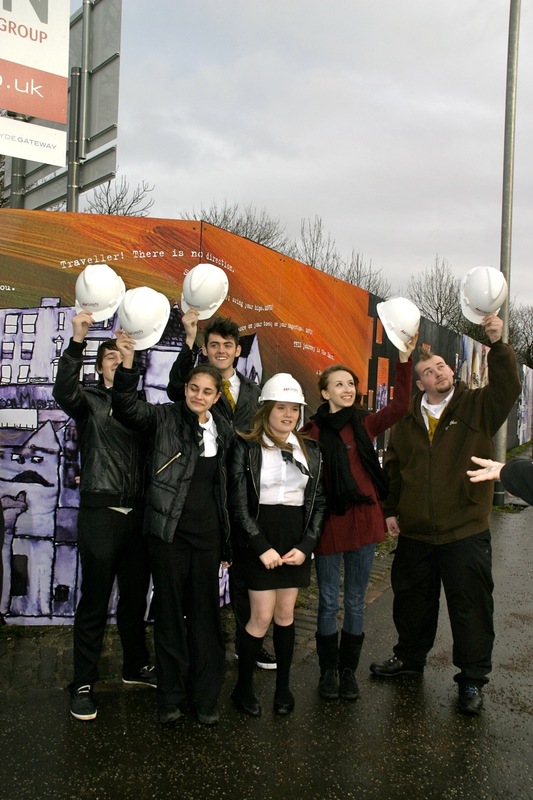 6274 engaged with the pupils of Eastbank Academy, Glasgow over a period of 3 months. 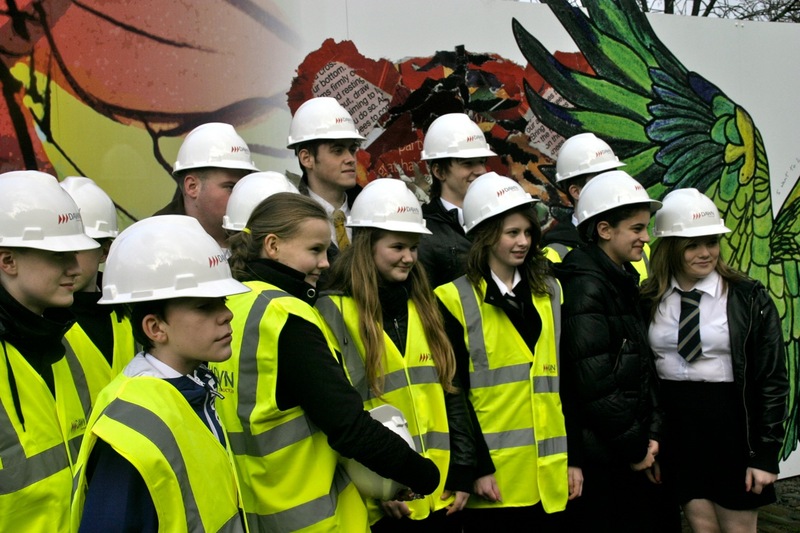 We conducted seminars and workshops with local artists, writers and poets to show the pupils the intention of the artwork project. 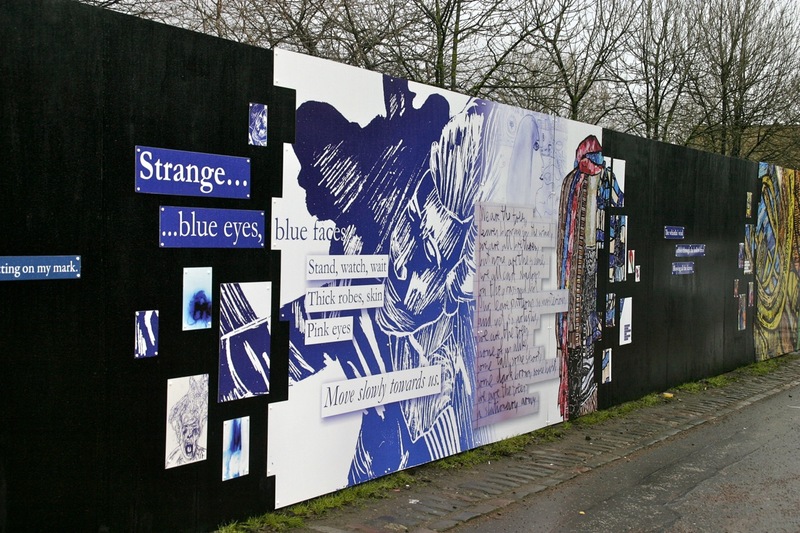 We then photographed and scanned their work from their Higher portfolio and gathered everything together digitally to collate the final graphics. 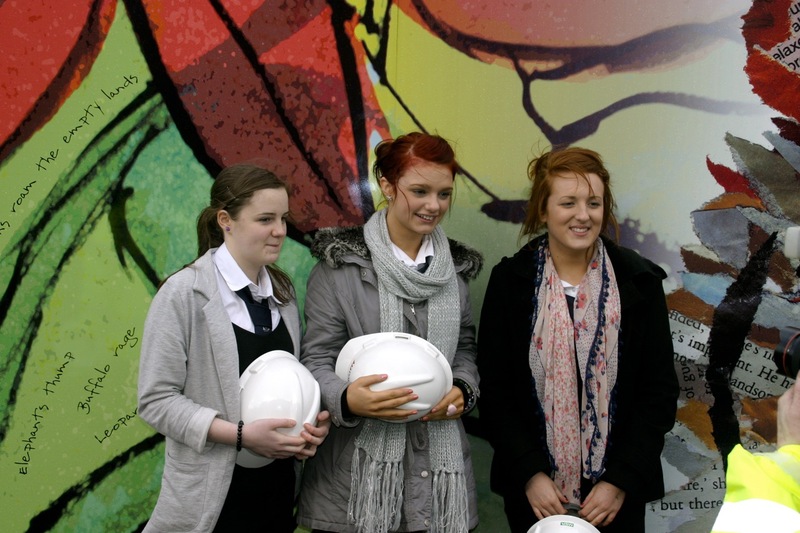 6274 then worked with the material to pull together the final work. 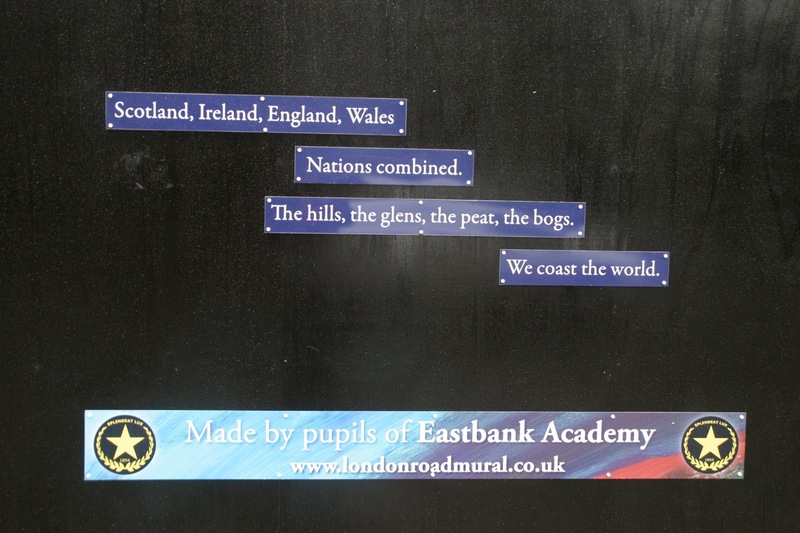 We created themes throughout and added relevant text and poems from the pupils work to add to the overall mural. 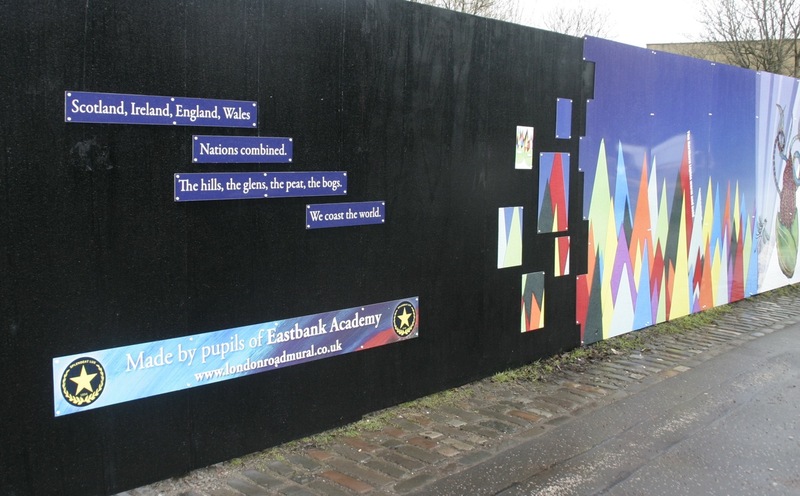 Once completed we worked with our trusted suppliers to print, cut and install the graphic panels to the site over a period of two days. 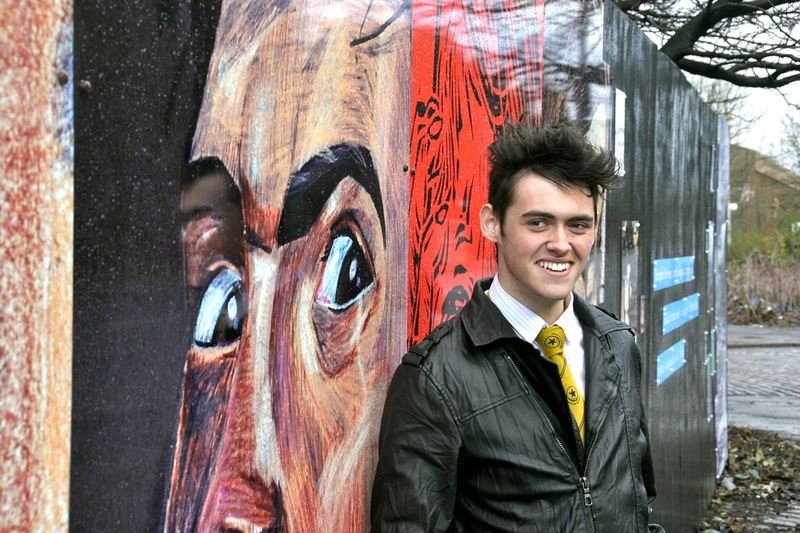 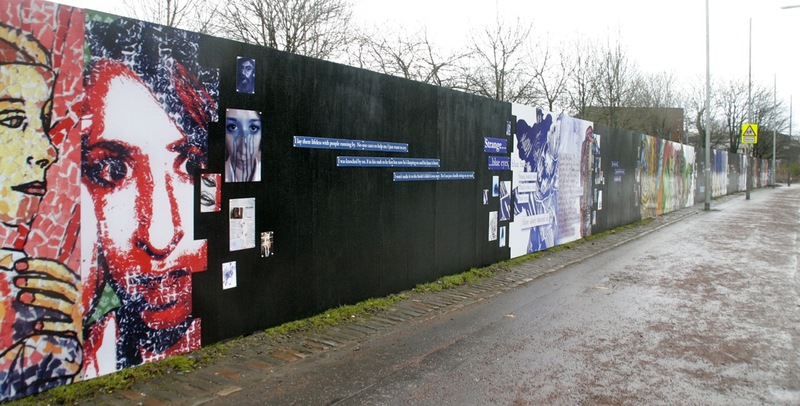 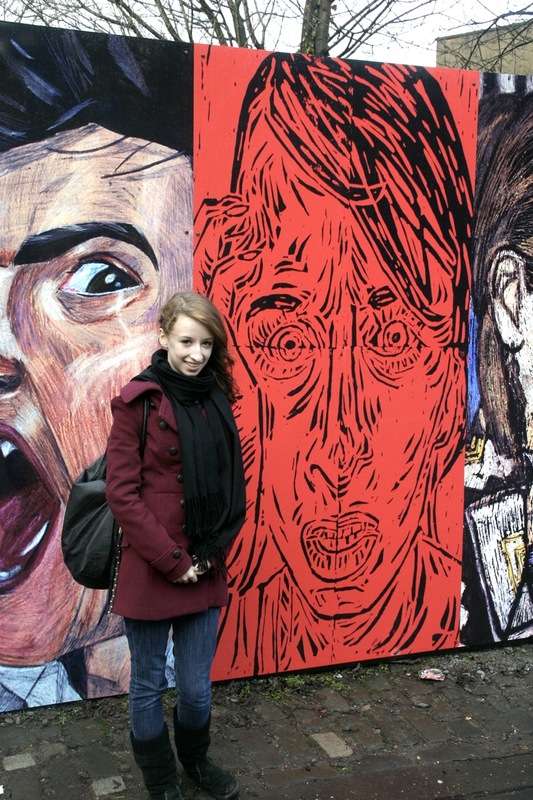 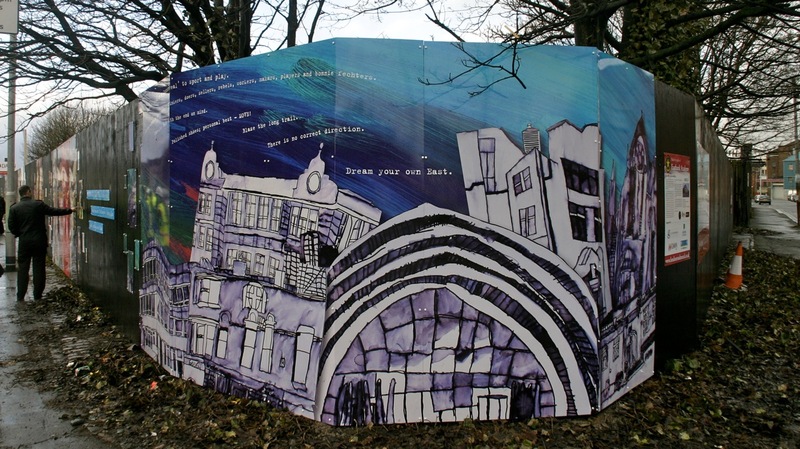 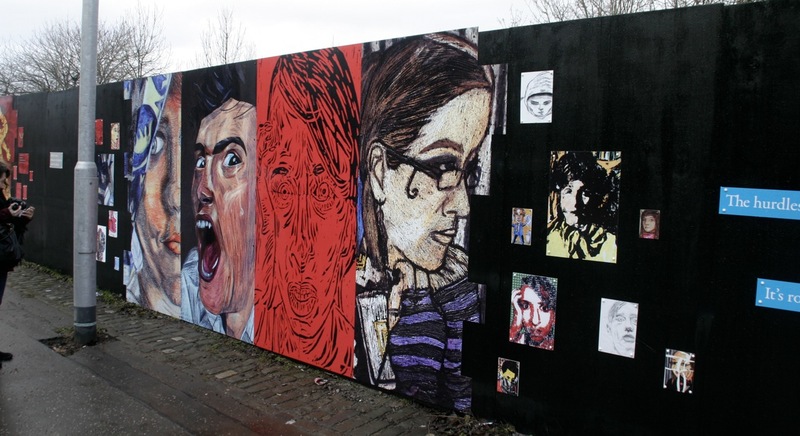 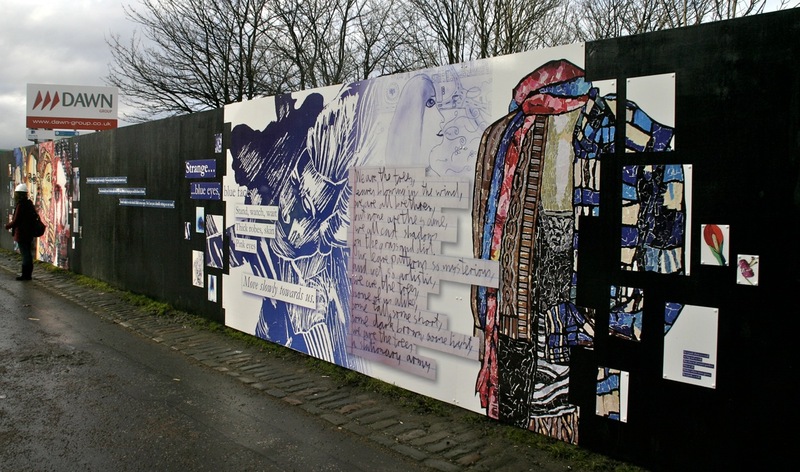 The outcome of everyone’s efforts is a 100 metre long graphic, dibond mural installed on one of Glasgow’s busiest roads. 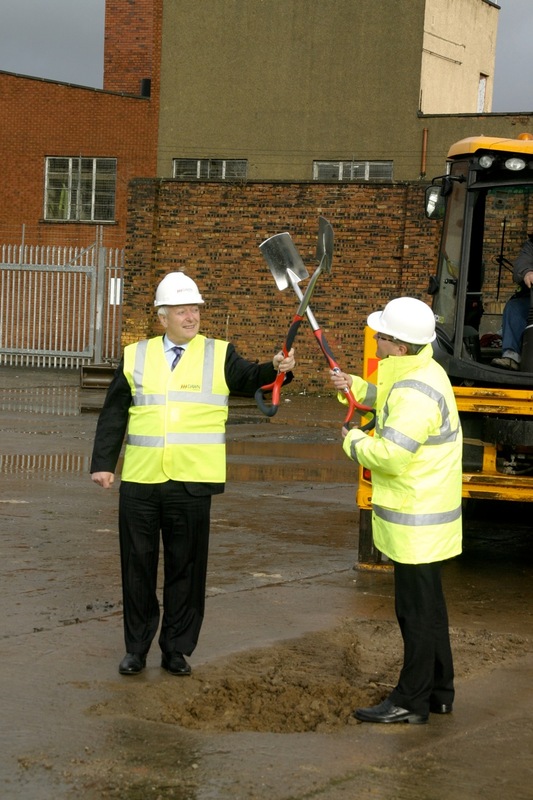 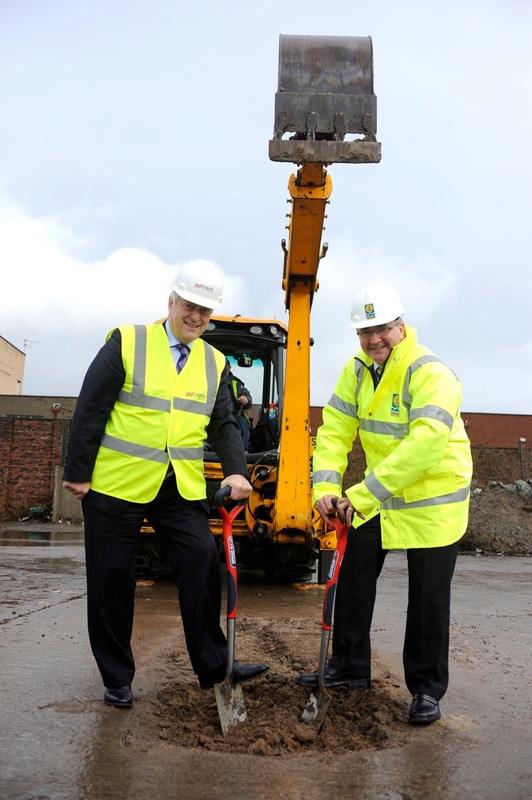 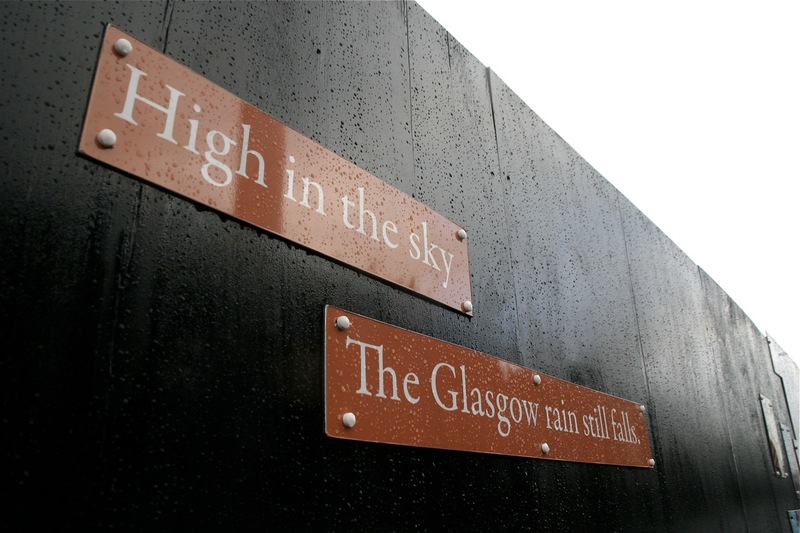 The official opening ceremony took place at the start of February 2011 and was hosted by Glasgow’s Lord Provost and Clyde Gateway. 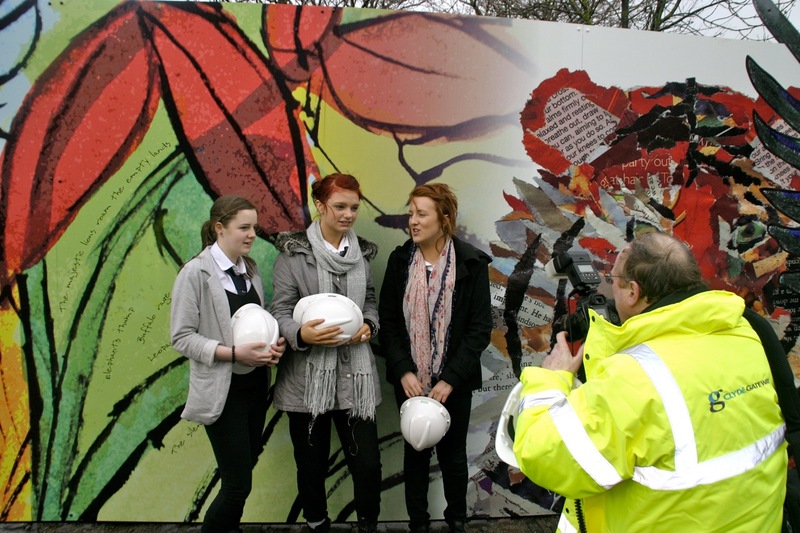 The project has received media and press coverage as well as great feedback from the pupils involved. 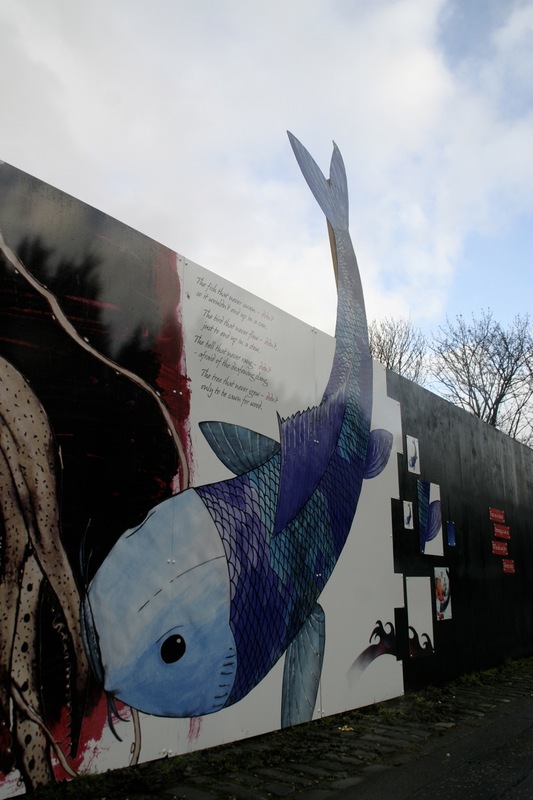 So far there has been no vandalism of the project, which is testament to the local area. 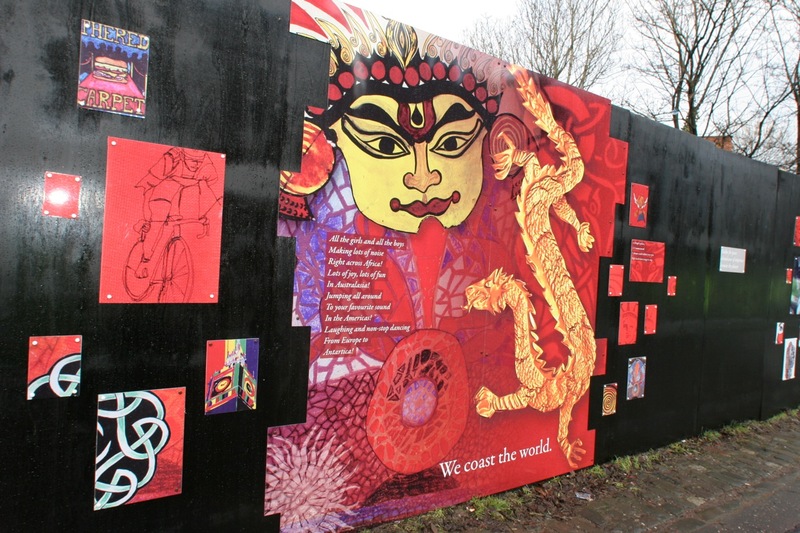 Everyone’s work can be seen at the website we built for the project at www.londonroadmural.co.uk as well as a few images below. 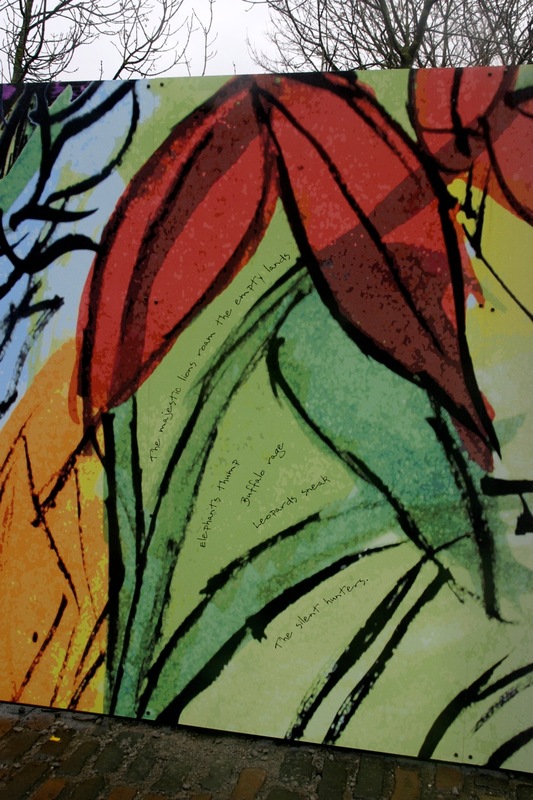 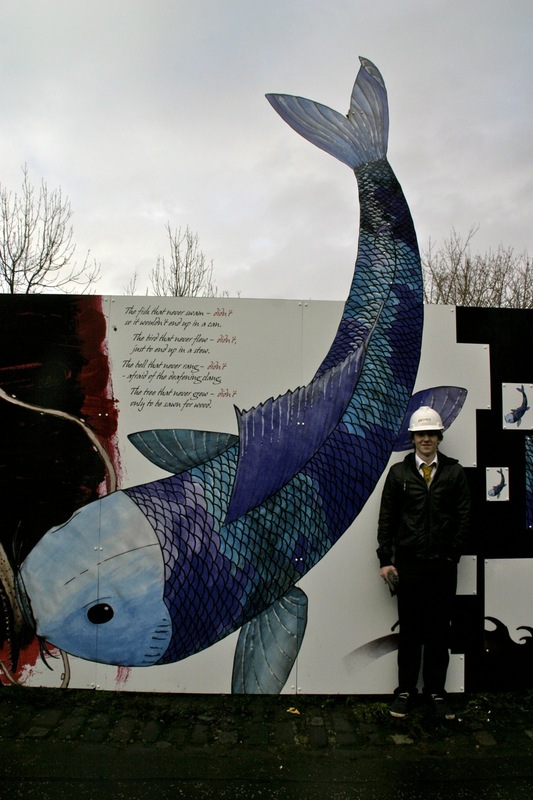 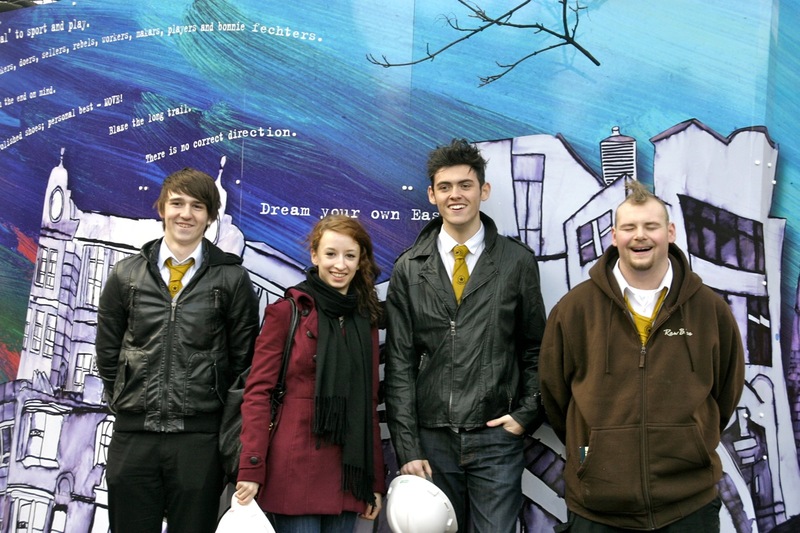 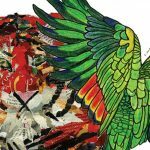 Section from the London Road Mural, a project involving Eastbank Academy, Clyde Gateway and Dawn Construction.